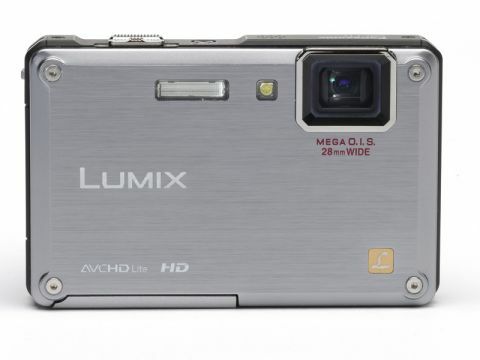 Panasonic's FT1 offers HD recording, but is it tough enough? At first sight, Panasonic's FT1 looks the nearest rival to Olympus' mighty Mju 8000. It's a similar size, weight and shape and is also waterproof, shockproof and operable down to -10 degrees. The buttons are small and close together and the markings don't stand out well. The Shutter and Zoom buttons are right next to each other on the top of the camera. It's far too easy to take a picture when you simply meant to zoom in or out. The FT1 worked fine after freezing, though the battery level indicator dropped considerably. It had no problems shooting underwater and survived a drop test onto a hard floor unscathed. The Panasonic's 1,280x720 HD Movie mode is a bonus, but for ultimate toughness it has to play second fiddle to the Olympus.